During the fourth and final week of Advent, we invite you to join us in discovering the ways the Earth Care Congregations (ECCs) program’s value of outreach can be used to protect God’s creation and create hope in the Advent season. May the work of all those who are committed to Earth Care bring you inspiration and courage, even as we wait with expectation and love for the Hope of the world. We wish you a blessed Advent season and a very joyful Christmas! In October 2006, members and friends of First Presbyterian Church Palo Alto watched Al Gore’s film “An Inconvenient Truth.” This screening lead to the creation of the Cool Planet Working Group, a group of members and friends of the congregation committed to responding to the threat of climate change. From its inception, Cool Planet has sought to reach out to the congregation in its ministries and in partnership with other organizations, and to creation. Since 2006, First Presbyterian has partnered with California Interfaith Power and Light, Union of Concerned Scientists, the City of Palo Alto, and Acterra, as well as co founding the MidPeninsula Environmental Ministries in partnership with several local churches. These partnerships have led to political action and advocacy, as well as networking and education. For example, in 2010 the congregation participated in a Valentine writing campaign to California Senators and Representatives to urge them to love the earth by passing strong climate change legislation. From the urging and organizing of Cool Planet, the congregation has embraced caring for creation and ending climate change through Adult Education series, facilities changes, and worship services. In 2008, the congregation replaced their lawn with drought-tolerant plants and added bike racks to the church campus. 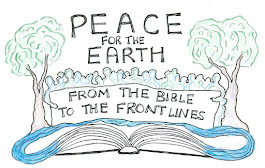 Annual Earth Day worship services have been supplemented by additional worship services that highlight the human connection to creation, particularly during the annual church picnic worship service which takes place outside. Members and friends of the congregation from all different places in life have participated in these opportunities—from the young to the old, the sick to the healthy, the staff to the congregation. All of this work has been done within a deep and joyful connection to creation. Members and friends of the congregation and the working group regularly spend time in creation biking, running, or walking. Another working group in the congregation is focused on hiking, and many of the members of Cool Planet are in this group as well. This connection has provided a reminder of why the congregation has committed to caring for creation and working to end climate change. Facing the reality of climate change can provoke fear and hopelessness. It would be easier to be paralyzed by a sense of helplessness than to participate in the hard work of changing how humanity affects the rest of creation. It’s much harder to join this work, and harder still to do it with hopeful rejoicing. Some of our hope can come from our understanding that creation joins us—that we are connected to each other and to creation. Our hope also comes from our understanding that all of creation waits with anticipation and joy for the coming of Christ, who comes to heal our broken connections. So as we wait, we do so knowing that our bodies and spirits are welcomed into these connections wherever we are in life. Our hands and feet and spirits rejoice with each other and all creation! Holy God, give us hope as we work to protect your creation, even as we wait for you. Help us work in your world with grace and peace, reaching out to each other in love. We give you thanks for the joy we find in your creation and for the hope we find in you. Amen. Abby Mohaupt is the Pastoral Resident at First Presbyterian Church in Palo Alto, CA. A candidate for ordination as a teaching elder in the PC(USA), she serves PEC as the editor of The Update. Today we share a beautiful reflection from PEC's Treasurer Sue Smith. Sue lives in New Jersey and lost power during Hurricane Sandy. During her 10th evening without electricity, she wrote about how her experiences in the aftermath of the storm reminded her of the destruction of our fossil-fuel dependent lifestyle and the power of community to help heal God's people. As I sit here on the 10th night of candlelight, it is in some ways like the first. A Nor’easter is bringing wind, except nowhere near the sustained wind of the first night. Like the first, there is rain – but also snow. Loss of electricity has wide-ranging impacts: it is cold, there have been gas issues for cars, and the loss of a freezer full of food. I am lucky, natural gas allows me to cook on the stove, and gives me hot water. Called to environmental work for years, mostly because of destruction to the beauty of God’s creation, I have realized more than ever that fossil fuels have impacted our ability to build and sustain community. Sandy has brought nature’s destruction and devastation to the Jersey Shore – a place I love. Some nearby towns will probably never be the same. People’s lives have been turned upside down, and the National Guard is a constant presence, keeping us out of places we never thought we would not have access to. Sandy has also made me realize how much impact fossil fuels have on our sense of community and communion with each other. From the first night of candlelight, I have talked to my neighbor every day – checking in, sharing information and caring for each other in ways we have not done for 20 years of living next door to each other. I have been on the phone with my sister, 250 miles away, every day. She goes through my emails and gives me updates from the power company and the township’s websites. And I have been walking around since day 2 of candlelight. I heard many stories as I met people: the elderly man who had to find a new place to live because a tree smashed into his house; the woman who came to look for her sister whom she had not heard from in days; the people who could not get into the marina to check on their boat; the neighbors who told me about the destruction in Sea Bright to homes, beach clubs and bars; the people telling me what grocery stores were open and what restaurants were serving food. I even talked to the electrical workers from Ohio, here to help us, taking a well-deserved sightseeing break to look at the Manhattan skyline and the new World Trade Center building. As time went on, and power came back, and roads became cleared, and gas was less of a problem, and more cars were on the road, I met less and less people on my walks, and heard fewer and fewer stories. It occurs to me that all this use of fossil fuels has led to less community. 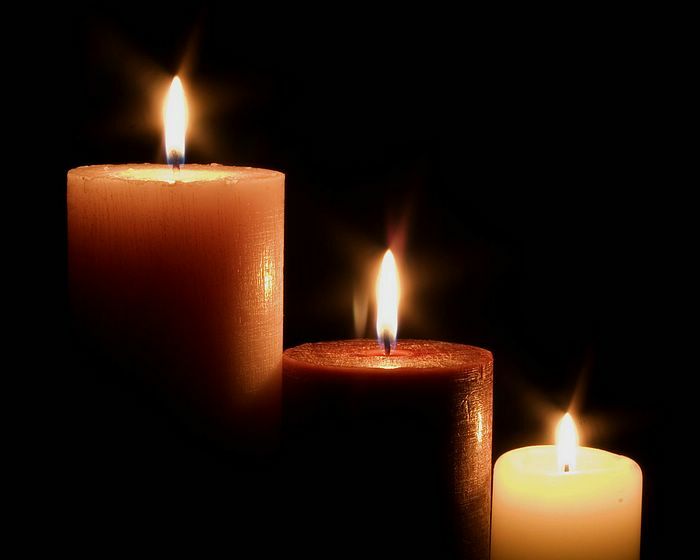 The seventh night of candlelight was Sunday – yes the Sabbath. I went to church that morning, and we shared communion and shared stories of our experiences in the storm and some of the needs that were arising. Again, a sense of community that is different from what we normally experience. Maybe this is the most tragic result of our use of fossil fuels. Yes, there is destruction to the beauty of the earth, to our water supplies and harm to people’s health. But maybe the loss of community is the most destructive impact on God’s people. It is the telling of our stories and the listening to each other’s stories that join us in community. Our Advent devotional for this third week in Advent explores education, one of the four action areas of the Earth Care Congregations (ECCs) program. We highlight the work of Montreat Presbyterian Church, which is using education to care for creation and prepare for the coming Christ. May their work bring you hope this Advent, even as we wait with expectation, joy, and love for the Hope of the world. The advent and birth of Jesus offers to Christians not only a sacred annual time of reflection on the birth of a Savior, but perhaps also an opportunity to ponder God’s ongoing acts of creation and to see in them Jesus as Teacher and Steward concerning Earth. When we read that “In the beginning God created the heavens and the earth” (Genesis 1:1a), and that “He was in the beginning with God; all things were made through him” (John 1:2-3a), we may wonder how indeed Jesus, in his earthly lifetime, related to what was “created” and “made.” How did the infant presented in the temple and singled out by Simeon and by Anna—to the amazement of Joseph and Mary—grow as a child and become “strong, filled with wisdom” (Luke 2:40b)? The Bible’s narration of the “Christmas story” tells us how even at the moment of birth the life of Jesus Christ was intertwined with “Creation” as manifested in the natural world and also as reflected practically in the lives of those who depended on its bounty. After all, an angel of the Lord was sent to “shepherds out in the field, keeping watch over their flock by night” to announce the good news of great joy of the Messiah’s birth. The shepherds certainly would have been people of the land, presumably in tune with Earth and its seasons. How might Jesus have interacted with them in childhood? Meanwhile, as Jesus learned carpentry in his youth it seems likely that experience with types of wood extended to harvest of trees in the forest, with hands-on lessons in plant and animal ecology. And certainly travel with family, all the way to Egypt even, exposed Jesus to the region’s landscapes and ecosystems. How do followers of Jesus afford children and adults opportunity to learn to care for Earth? Congregations across the Presbyterian Church (USA) are educating members and the community about timely environmental issues ranging from safety of water supply, food security and fair trade business, to energy conservation and simplicity of lifestyle. At Montreat Presbyterian Church in North Carolina an appointed Earth Stewardship Theologian recently taught two multi-week Christian Education classes, “Clues for a World on the Edge: Creation as the Theater of God’s Glory” and “What Shall We Eat…?” Additional ways of building biblical and scientific literacy concerning Earth care are coordinated by the church’s Earth Ministry Team, for example by arranging informative and lively programs at annual Earth Care potluck supper celebrations (with elected officials attending) and attendance/discussion at movies and lectures, such as on coal mining and climate disruption. Partnership with the nearby Montreat Conference Center affords access to outdoor facilities such as the Prayer Path, pictured below (Photograph courtesy of Phyllis Sadler, who used it in a church class on “Seeing God through the Eyes of Photography”). We may not know the exact influence upon Jesus of the shepherds who witnessed his day of birth, but certainly their sensitivity to Creation and its seasons and limits offers guidance in following a Savior who also inspires stewardship of Earth, at Christmas and all other times of the year. O gracious God, thank you for the birth of a Savior to our world. Please guide us in following his paths of righteousness to steward the Creation where you have placed us. In Jesus’ name, Amen. William Seaman is an ordained Presbyterian elder who resides with his wife in the southern Blue Ridge Mountains. He is Professor Emeritus, University of Florida, and in retirement consults on environmental science, leads the Earth Ministry Team of Montreat Presbyterian Church (North Carolina), and is working on certification as an environmental educator. During this second week of Advent, join us in celebrating Earth Care Congregations (ECCs) and honoring the role worship can play in caring for Creation. We hope that the work and witness of these congregations brings you hope, even as we wait with expectation, joy, and love for the Hope of the world. Korean Presbyterian Church of Boston (Korean PC of Boston) became a certified Earth Care Congregation in September this year. They exceeded the total number of points needed and one of the reasons for that was their focus on worship. Many times congregations find it easy to embrace environmental stewardship in their facilities and elsewhere around their campus (like choosing recycled paper or offering recycling of bulletins). But it is often seems more difficult for a pastor to include elements of Creation Care into the worship life of his or her community. That is why ECCs include worship as one of the four components of the certification program. Sure, you can get certified doing a minimal amount of worship-related components. But Korean PC of Boston was not one of those congregations. They held a special Environmental Mission Sunday in conjunction with Earth Day this year, as well as included a Creation themed sermon each quarter. They created an Earth Day Bookmark that was distributed to members and each Sunday reuse and recycle their bulletins. They've already started planning out their recertification for next year, including adding an outdoor service to their quarterly Creation-themed sermon. Korean PC of Boston is just one example of how you can begin to think about incorporating Creation care into the worshiping life of your congregation. I encourage you to reach out to Elder Jason and learn more about what they've done and what they plan to do to keep building that connection between worship and Creation care. In his book, The Seven Pillars of Creation, theologian Bill Brown uses a marvelous illustration of how the creation story sets up a temple in and of nature. This amazing illustration highlights each day of the creation narrative as a pillar of the building of a temple. But unlike the temple we learn about in 1Kings, this temple is a cosmic temple, not a temple made of stone. For me, what this imagery highlights is that when we are in nature, we are able to worship God as the Creator who has given us such delights as apple trees and songbirds. We can just as easily worship God in the wonder of Creation as we can in our beautiful sanctuaries. I find that being in nature helps me connect to the Creator and have a meaningful worship experience. Perhaps as they plan for their outdoor service (and as you plan in your congregations), Korean PC of Boston could consider Dr. Brown’s imagery and find ways to incorporate it into their service (and yours)! Advent is a time of preparation; a time for us to prepare our hearts for the coming of the Christ-child. Similarly in our work in the environmental community, we are in a time of preparation for the coming of the “Green Revolution” – the creation of a sustainable community. As people of faith, we are preparing the way for that green revolution – the work we do and the words we proclaim prepare us for what is to come. Korean Presbyterian Church of Boston does a wonderful job of preparing the way, through regular worship interaction with the Creation. Making sure that Creation care isn’t a token conversation held on one Sunday, reminds us that there is always work to be done in preparing for the sustainable future. We can always be doing a little more. Just as John the Baptist proclaimed the coming of the Christ, Korean PC of Boston regularly proclaims the call to care for Creation. Just like we hope in the birth of the Messiah, we hope for a time when we will live in a sustainable world, a world that respects the One who comes to Redeem as the same One who Creates and Sustains us all. God of hope, help us prepare our places for your coming and help us proclaim your love in the world. Amen. Several months ago, PEC began a collaborative process with Patrick Heery, Managing Editor and Social Witness Associate of Unbound: An Interactive Journal of Christian Social Justice. We were in the midst of grieving about the environmental state of our planet. We needed renewed hope. We agreed to invite fellow Earth-justice-seekers to help lead in searching for a prophetic word, a new pathway along sacred soil, a source of strength for our internal landscapes. That hope, that word and that strength are within this November 2012 - January 2013 issue of Unbound, entitled "Hope for Eco-Activists: Discovering an Environmental Faith". Note that this is an introductory selection of a series of submissions which will "roll out" between now and January. Ideally, please plan to sign up through the www.justiceunbound.org website so you will receive the new articles as they are published. I am very grateful for the many contributors of these works as we seek hope and strength in days of grieving. There is a beautiful variety within these submissions; much depth, much soul-sharing. Many of the articles were written by PEC members. Rebecca Barnes-Davies also worked on the process representing Environmental Ministries. There are also authors who represent other faith-based earth care organizations. And Patrick Heery has led this effort skillfully and powerfully. Let us eat and drink of this feast of words. May the soulfulness within these reflections enrich us as leaders...that we may become more prophetic, more compassionate, more passionate in our justice-seeking.